Finding the right Gympie removalist can be daunting. If you are after an affordable interstate Gympie removalist company with all the values and features of a tradition removalist company. Then The Backloading Company is for you. With over 2 decades of interstate Gympie removalist services for home and office furniture. Providing interstate removals to and from the Gympie. The Backloading Company are here to assist with all your Gympie moving needs. Providing you with experienced and professional Gympie removalists. Getting you moved anywhere is what we are about. Our pack, wrap and stack process will ensure your goods are moved safely and securely. The Backloading Company have been operating for over 18 years. Providing home and business removals at affordable rates. Our Gympie removalists know how to handle all types of home and business furniture. A Gympie backloading removal process is quite straight forward. After receiving a free quote from us you have the option to then book your Gympie backload. The dates are then arranged for pickup and delivery. At pickup, our backloading removalists will pick up your furniture from inside your home or office. The removalists will then wrap and stack your goods onto a truck. If packing is required then this can also be arranged before booking. It’s best to label all boxes and goods prior to pick up. Once the removalists have left the pickup Gympie, they will commence the long journey to your desired destination of delivery. 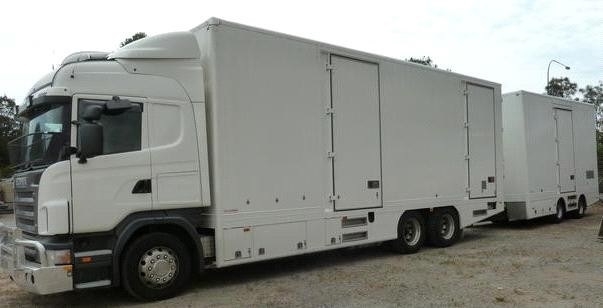 The time frame can vary as backloading mean your will be sharing the space on a truck with other removals. Ask the office staff once your goods have been picked up for more specifics on times and dates. The Backloading Company will provide backloading removals to Gympie using professionally trained and experienced Gympie removalists. We can also provide backloading removals from Gympie. An interstate removal process is what we are about. Getting you organised for a move interstate is planned and processed using techniques proven for success with The Backloading company. Ensuring your goods are wrapped, packed and stacked accordingly. The Backloading Company understand moving. Sometimes all you need is some extra time before your goods are delivered. That is why we provide you with short to long term storage with any Gympie backloading removal. Gympie and surrounding areas backloading and removals just got easier. The Backloading Company have an awesome service for your move to or from Gympie. Offering an amazing service at affordable prices. There is a reason we have gained so much recognition in the removal industry. Because we know how to get the job done. We offer a Gympie backloading service at a bargain price. When Choosing a removal company, Don't just pick any. We can guarantee real results! Australia wide bargain backloading. Our Premium Gympie backloading service will deliver powerful results. Call us now for a no obligation free quote or fill out our online quote form.